How Can 1-Zero-1 help your organisation with Office 365? 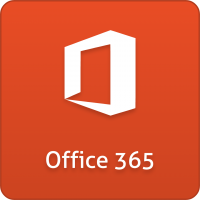 Office 365 is Microsoft’s suite of hosted applications including Office, Exchange, SharePoint, Skype for Business and office Web Apps. Watch this video for a brief introduction. Lower IT support costs: you’ll always have the latest versions of software, without the need for IT support. Massive storage: renting storage is cheaper than buying extra disk space for your PCs. Reduced risk: data security becomes your hosting company’s problem instead of ours. Access anywhere: get your documents via the web from home or just about anywhere else. Supply: We can supply Office 365 subscriptions at the same price as if you bought it direct from Microsoft – we can help you through the whole migration process. Planning: We offer a consultation service to evaluate your business for Office 365 readiness by finding out and reporting on what services and applications you currently use or wish to use. Migration: We migrate your data from your current system into the Office 365 platform & configure your devices with the newly provisioned services. Support: Benefit from our experienced support team and a local company. Ready to provide on premise and remote support depending on your Business requirements. SharePoint Online delivers the powerful features of SharePoint without the associated overhead of managing the infrastructure on your own. Flexible management options ensure that you still retain the control you need to meet the compliance requirements of your organization. You can purchase SharePoint in the cloud as a standalone offering or as part of an Office 365 suite. Connect your teams with the experience they love, in the Office applications they use every day. Now, with Skype for Business you can simplify your infrastructure with one platform for calling, conferencing, video, and sharing.Connect with your team anywhere using our mobile apps across Windows, iOS and AndroidTM, or bring remote participants into meeting spaces of all sizes with Skype for Business Room Systems and Surface Hub. 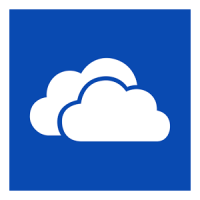 Onedrive for Business provides a secure and reliable cloud storage location with 1TB of space for each user.One place for everything in your work life. Save your files to Onedrive for Business so they are always with you. Sync files across multiple devices access from Mobiles & Tablets. Collaborate and share documents with colleagues business partners or customers. Make project management easy and collaborate from virtually anywhere with the right tools for project managers, project teams and decision makers.Make project management easy and engaging for project managers by enabling them to analyze resources, budgets and timelines. Also, project managers can easily measure progress and anticipate resource needs with detailed and easily customisable out-of-the box reports.